China’s track record managing debt distress has been problematic. It has not signed on to a binding set of rules of the road to avoid unsustainable lending and addressing debt problems. China’s Belt and Road Initiative – which plans to invest as much as $8 trillion in infrastructure projects across Europe, Africa, and Asia – raises serious concerns about sovereign debt sustainability in eight countries it funds, according to a new study from the Center for Global Development. The study evaluated the current and future debt levels of the 68 countries hosting Belt and Road Initiative (BRI)-funded projects. It found that of the 23 countries that are at risk of debt distress today, in eight of those countries future BRI-related financing will significantly add to the risk of debt distress. You can see the full list of countries, their external debt levels, and China’s portion of that debt in the new study here. According to the study, China’s track record managing debt distress has been problematic, and unlike the world’s other leading government creditors, China has not signed on to a binding set of rules of the road when it comes to avoiding unsustainable lending and addressing debt problems when they arise. 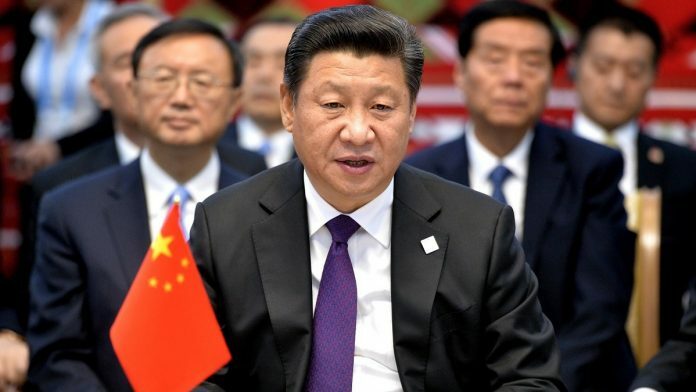 “Our research makes clear that China needs to adopt standards and improve its debt practices – and soon,” said Scott Morris, a senior fellow at the Center for Global Development and a coauthor of the paper. Multilateralize the Belt and Road Initiative: Currently, the multilateral development institutions like the World Bank are lending their reputations to the broader initiative while only seeking to obtain operational standards that will apply to a very narrow slice of BRI projects: those financed by the MDBs themselves. Before going further, the MDBs should work toward a more detailed agreement with the Chinese government when it comes to the lending standards that will apply to any BRI project, no matter the lender. Consider additional mechanisms to agree to lending standards: Some methods might include a post-Paris Club approach to collective creditor action, implementing a China-led G-20 sustainable financing agenda, and using China’s aid dollars to mitigate risks of default. 1. Pakistan: Pakistan, by far the largest country at high risk, currently projects an estimated US$62 billion in additional debt, with China reportedly financing roughly 80 percent of that. Big-ticket BRI projects and the relatively high interest rates being charged by China add to Pakistan’s risk of debt distress. 2. Djibouti: The most recent IMF assessment stresses the extremely risky nature of Djibouti’s borrowing program, noting that in just two years, public external debt has increased from 50 to 85 percent of GDP, the highest of any low-income country. Much of the debt consists of government-guaranteed public enterprise debt and is owed to China Exim Bank. 3. Maldives: China is heavily involved in the Maldives’ three most prominent investment projects: an upgrade of the international airport costing around $830 million, the development of a new population center and bridge near the airport costing around $400 million, and the relocation of the major port (no cost estimate). The country is considered by the World Bank and the IMF to be at a high risk of debt distress and is currently being buffeted by domestic political turmoil. 4. Lao, P.D.R. (Laos): Laos, one of the poorest countries in Southeast Asia, has several BRI-linked projects. The largest, a $6.7 billion China-Laos railway, represents almost half the country’s GDP, which led the IMF to warn that the project might threaten the country’s ability to service its debts. 5. Mongolia: Mongolia’s future economic prosperity depends on major infrastructure investments. Recognizing Mongolia’s difficult situation, China Exim Bank agreed in early 2017 to provide financing under its $1 billion line of credit at concessional rates for a hydropower project and a highway project. If reports of an additional $30 billion in credit for BRI-related projects over the next five to ten years are true, then the prospect of a Mongolia default is extremely high, regardless of the concessional nature of the financing. 6. Montenegro: The World Bank estimates that public debt as a share of GDP will climb to a whopping 83 percent in 2018. The source of the problem is one very large infrastructure project, a motorway linking the port of Bar with Serbia that would integrate the Montenegrin transport network with other Baltic countries. The Montenegro authorities concluded an agreement with China Exim Bank in 2014 to finance 85 percent of the estimated $1 billion cost for the first phase of the project, with the second and third phases likely to lead to default if financing is not provided on highly concessional terms. 7. Tajikistan: One of the poorest countries in Asia, Tajikistan is already assessed by the IMF and World Bank to be at “high risk” of debt distress. Despite this, it is planning to increase its external debt to pay for infrastructure investments in the power and transportation sectors. Debt to China, Tajikistan’s single largest creditor, accounts for almost 80 percent of the total increase in Tajikistan’s external debt over the 2007-2016 period. 8. Kyrgyzstan: Kyrgyzstan is a relatively poor country with significant new BRI-related infrastructure projects, much of it financed by external debt. China Exim Bank is the largest single creditor, with reported loans by the end of 2016 totaling $1.5 billion, or roughly 40 percent of the country’s total external debt. While currently considered to be at a “moderate” risk of debt distress, Kyrgyzstan remains vulnerable. You can read the full study, “Examining the Debt Implications of the Belt and Road Initiative from a Policy Perspective” here.